for wishing with a little Aussie humour, ‘Seeds ‘n Greetings’! 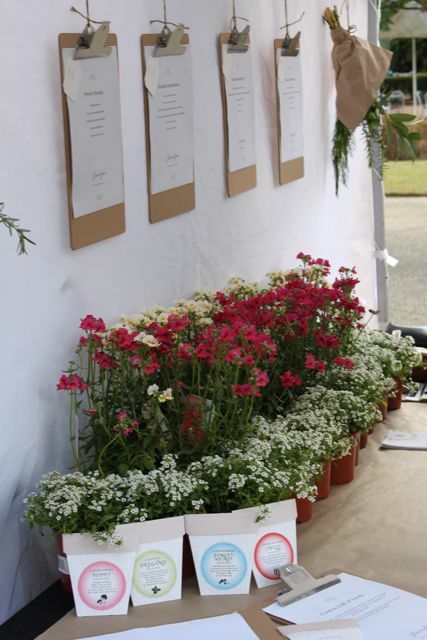 fragrant Dill as a useful and beautiful filler. 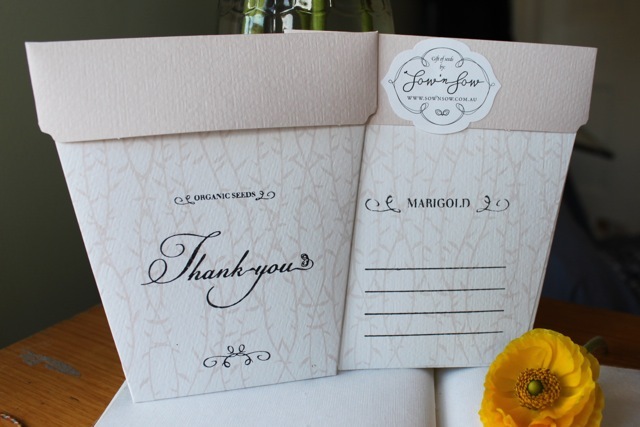 recycled card and hand packed in our Sunshine Coast studio. 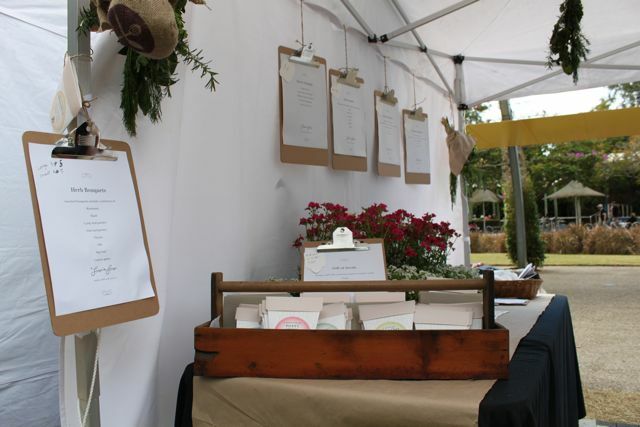 our year round floral and edible seeds, our Australian made Flower Presses, 100% recycled Gift Tags, and our other gifts! 6. 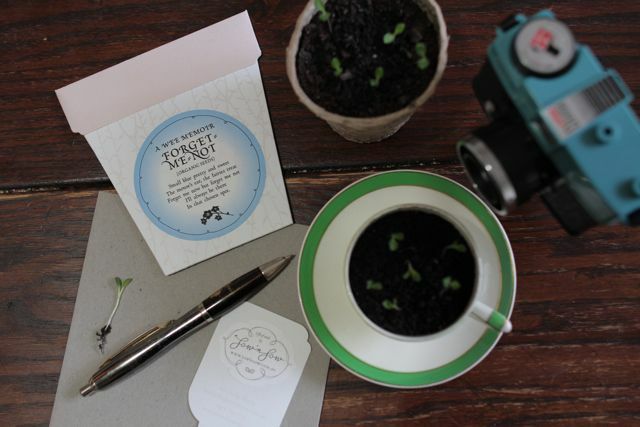 And the very cool Sunprint Kit for taking photographic type prints of your favourite flowers, by placing them on the special sunprint paper and capturing images using sun and water. 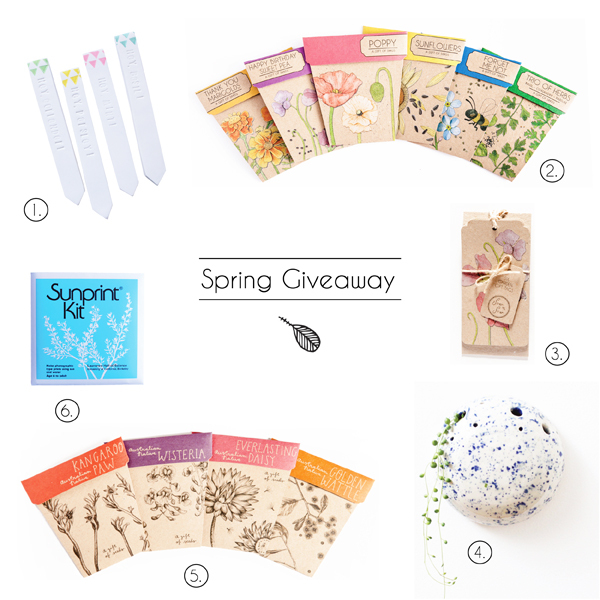 To enter simply jump over to our facebook page and leave a comment on the giveaway post, telling us what your favourite spring flower is and why. The giveaway ends at 9pm on Monday the 9th of September. The winner will be picked at random and in the following days. While the Australian Native collection has been available for a few months, I thought it was about time I wrote a little about them. 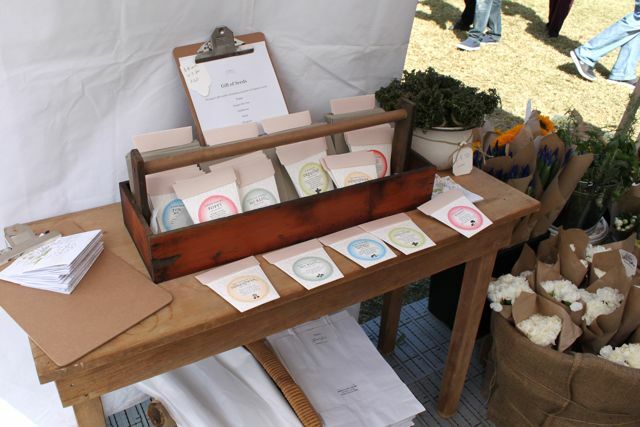 Since launching Sow ‘n Sow about three years ago, the question of native seeds has been asked many times. 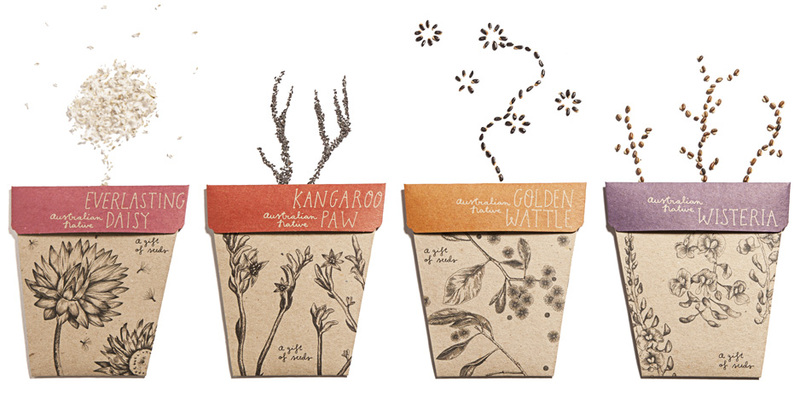 So late last year I decided to create the Australian Native Gifts of Seeds. Together with designer and illustrator Daniella Germain, we developed a new look and feel for this collection which was inspired by botanical illustrations and an overall earthier aesthetic. 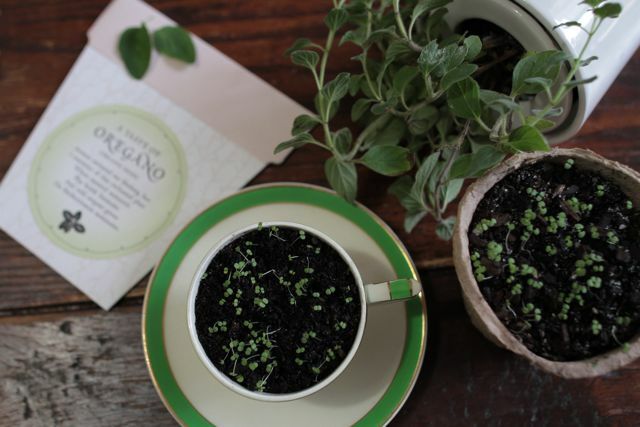 Picking the seed types was the most difficult task, finding seeds which are easy to grow, long lasting while being well known certainly wasn’t easy. 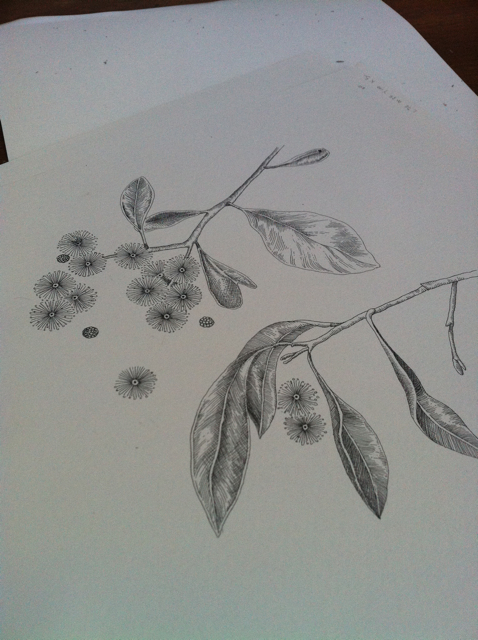 As we had tourism in mind, I couldn’t go past Golden Wattle, Australia’s floral emblem. 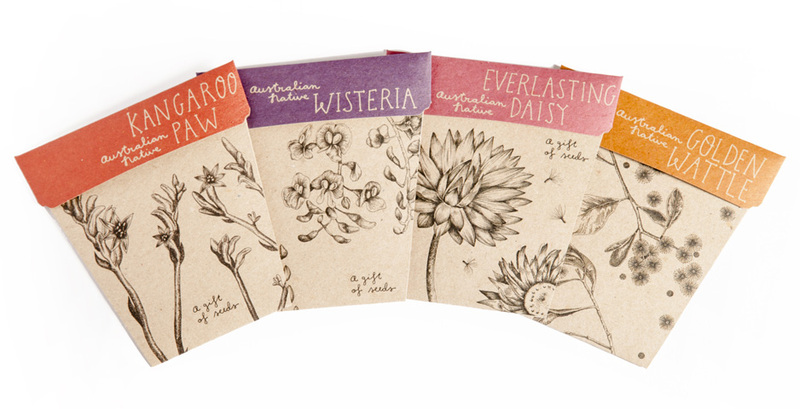 Everlasting daisies were chosen as they’re so pretty and much loved, Kangaroo Paw because it is such an iconic and unique native plant and Australian Native Wisteria because it produces a stunning purple flower and is easy to grow from seed. 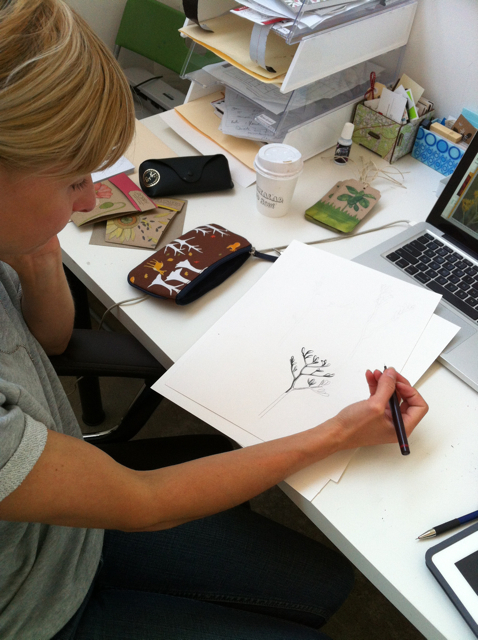 The photos below document the development of the collection, Daniella getting started on the Kangaroo Paw illustration, the original Golden Wattle illustration which is my favourite, and Marcel our photographer perfecting the seed arrangement for the product photo shoot. 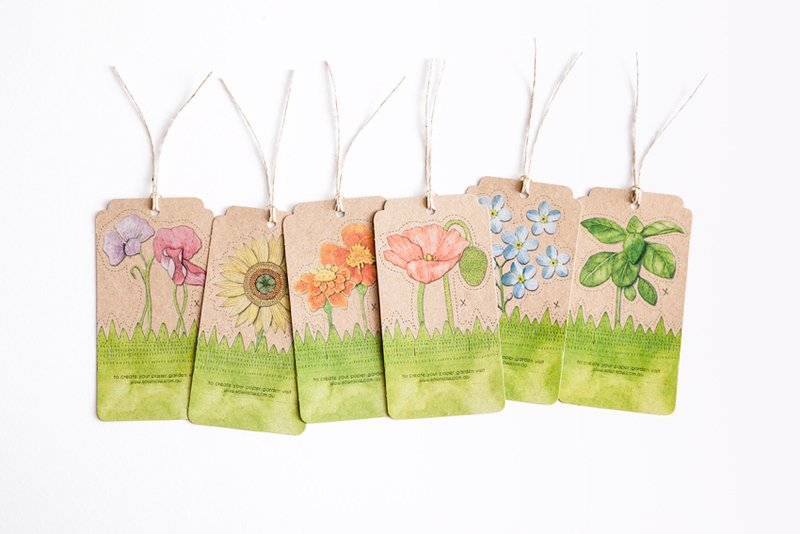 We’re incredibly excited to launch Sow ‘n Sow’s beautiful new Gifts of Seeds and Paper Garden Gift Tag collections! And to do justice to these stunning new ranges, we’ve made some changes to our branding and we’ve created a beautiful new website, where we’re also stocking some of our favourite organic-inspired designer products! 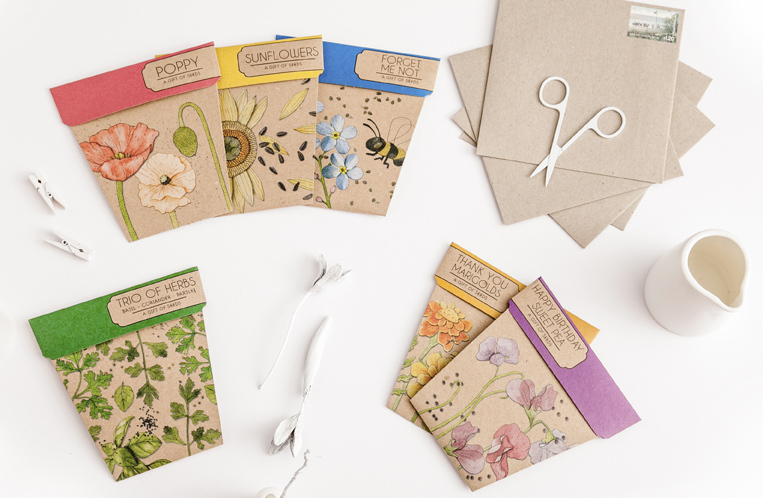 – Both the new Gifts of Seeds and the Paper Garden Gift Tags are printed in Australia on 100% recycled card. 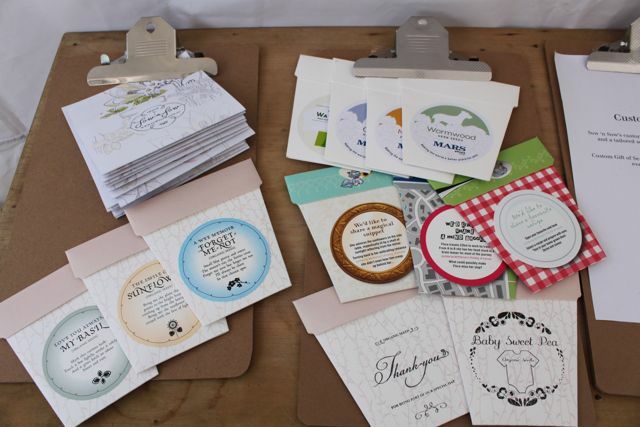 There’s now no glues which makes them even more eco-friendly than they were before! 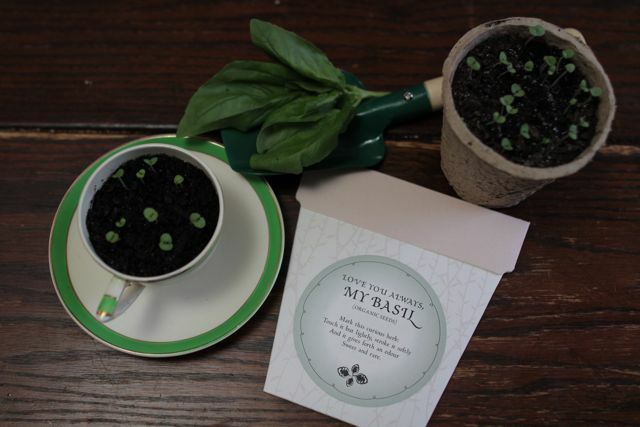 – The new Gifts of Seeds include a lovely, non toxic and 100% recyclable plastic plant label to mark where your seeds are planted. 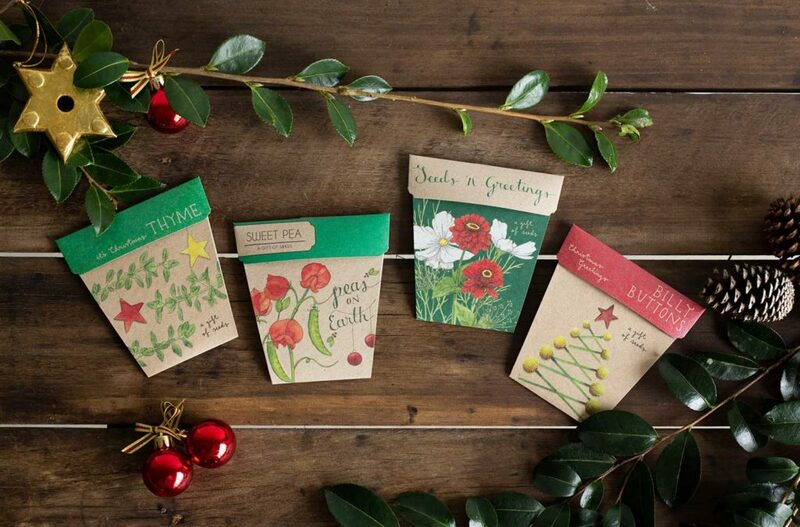 – Our new Paper Garden Gift Tags transform into a pop-up garden for your desk or mantlepiece so you can create a mini garden where-ever you are. Full instructions can be found here. – The new collections, branding and website were designed in collaboration with designer and illustrator Daniella Germain. Daniella is most well known for her published book, My Abuela’s Table which she authored and illustrated. 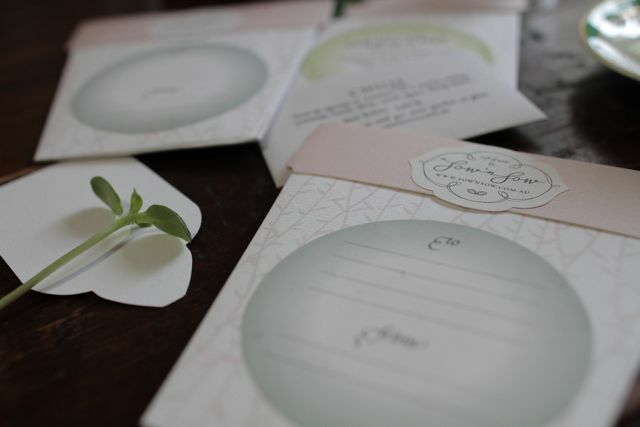 She has been in high demand since, just recently releasing a stunning stationery range and stoneware range among many other exciting projects. We have so enjoyed the opportunity to work with and get to know Daniella, it has been a lot of fun and we look forward to collaborating on other exciting future projects! Daniella’s stunning illustrations are beautiful hand-made collages. 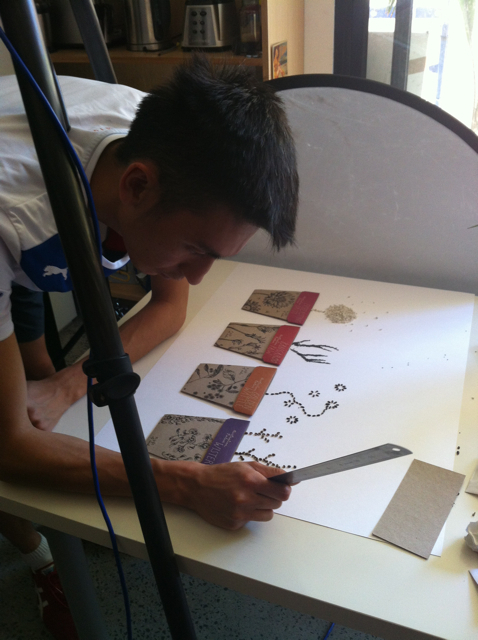 First the artwork was painted, then cut out, then layered & photographed to create the stunning ‘pop’ effect. 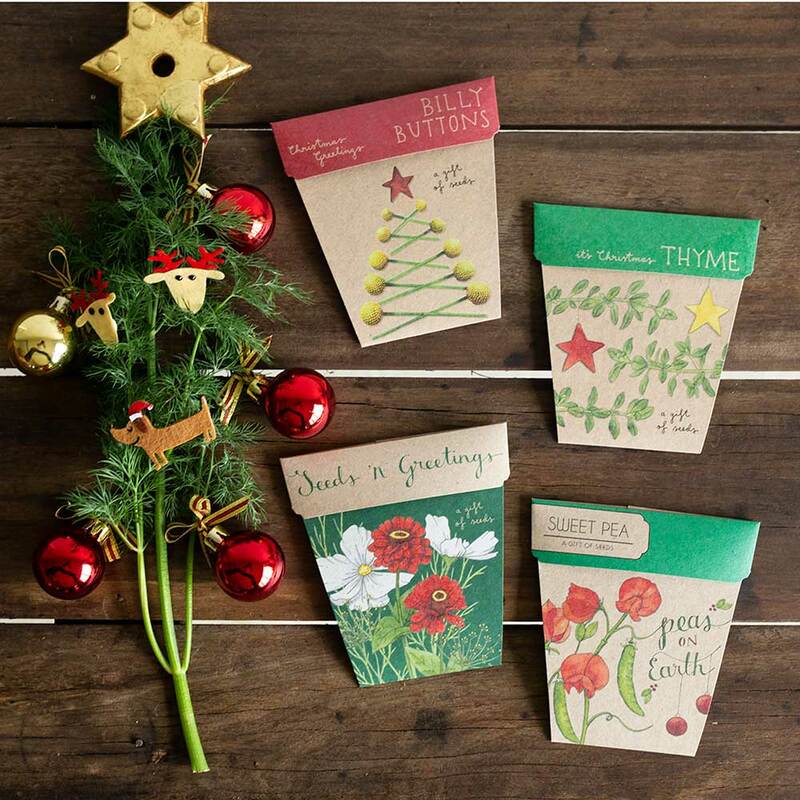 So each Gift of Seeds is certainly now a beautiful work of art that can be treasured, while the seeds in the garden bloom! 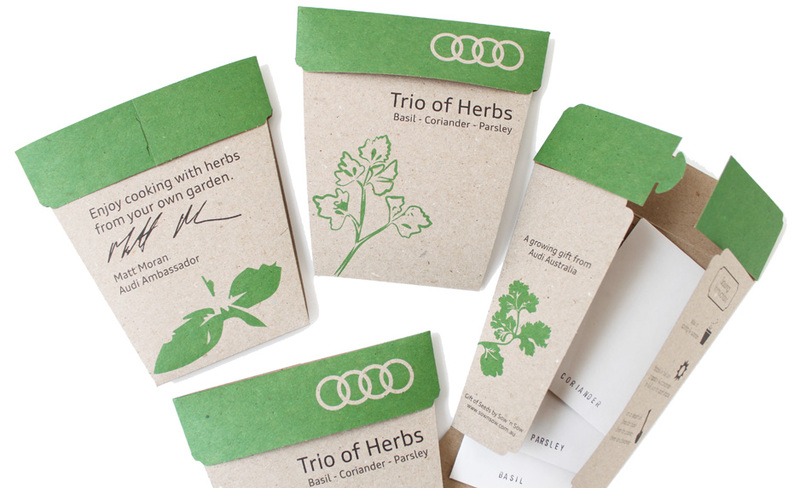 – We now have a packet which is especially suited to the kitchen gardener – the ‘Trio of Herbs’, containing parsley, coriander and basil seeds. 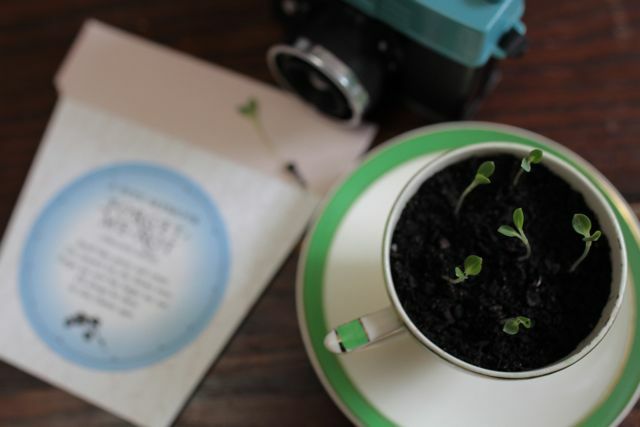 – We have 2 ‘occassional’ Gifts of Seeds, our ‘Happy Birthday Sweet Pea’ designed especially for wishing a happy birthday to your very own sweet pea, and the ‘Thank you Marigolds’ for saying a heartfelt thank-you. 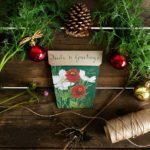 – And of course we have our popular three flower seed varieties, Sunflower, Poppy and Forget-me-not for all gift giving occasions! – To round out our newly revamped web-shop, we are also now stocking some of our favourite nature-inspired design pieces, including these stunning porcelain planters, the always ‘fresh’ flowers & these wonderful rooftop gardens from Melbourne designer Ben Osborne-Macpherson! 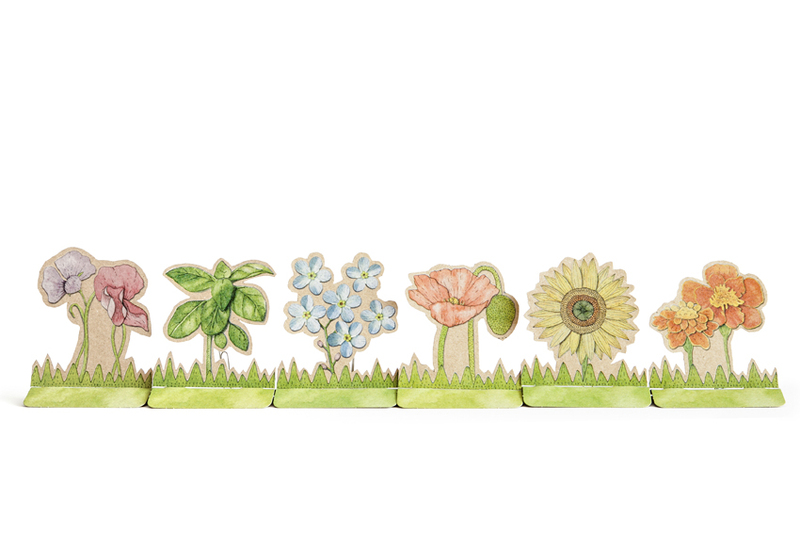 So all-in-all we’re really excited to get these new collections out for Spring and we hope you enjoy! 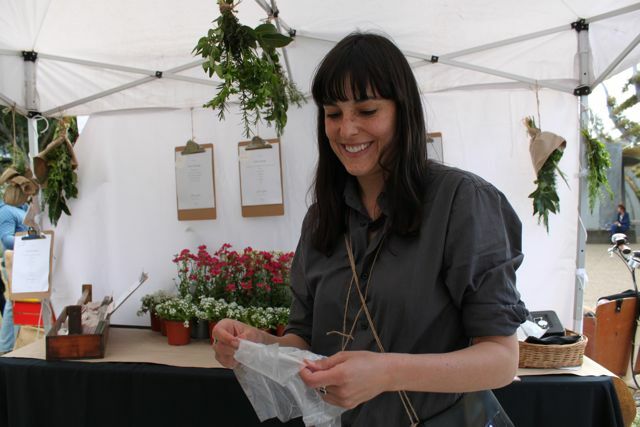 -Firstly to Daniella Germain, you’re amazing and I’ve enjoyed every minute working with you. The designs and illustrations are stunning and make my heart sing. Thank you! -Nina Buckley our new Sales Agent! Nina, we really appreciate your advice and expertise, we look forward to working with you! -Sow ‘n Sow’s Business Manager & my partner Nick, for all the number crunching and support. 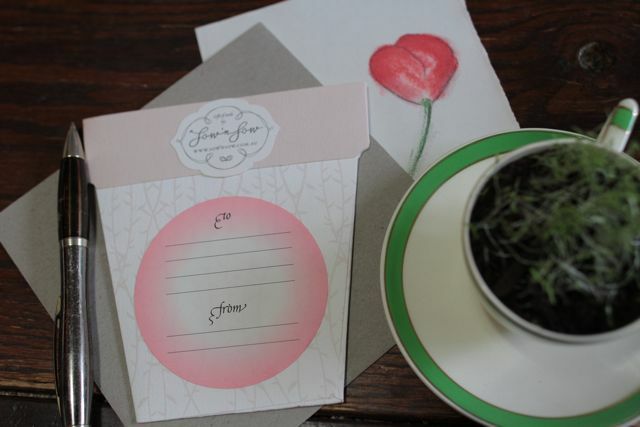 -Jacqueline from Little Dandelion for encouraging me to go with my instincts and for your awesome ideas. -Marcel from Platform Eight photography for the fabulous shots of the new range, you’re ace. -And my wonderful friends and family who’ve helped me to make all the tough decisions, especially my sister Madeleine, for telling it like it is and your designer eye. 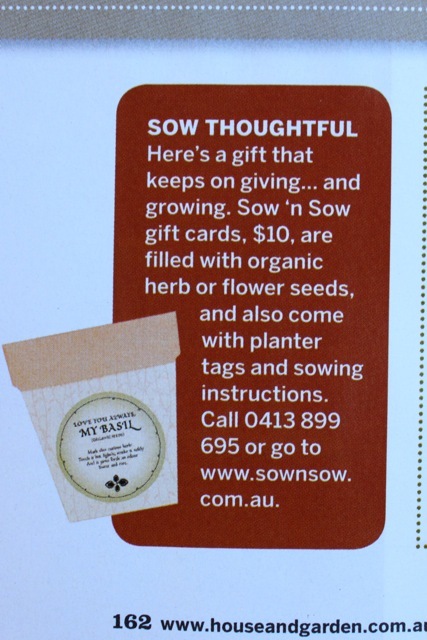 Our Plant Labels made from repurposed hand-stamped spoons were featured in the February issue of House & Garden magazine! It caught us a little off-guard as we were out of stock after Christmas and the magazine was released before we had returned from holidays, but we’ve managed a quick re-stock and they are now available to purchase individually and in sets of three via our webshop. 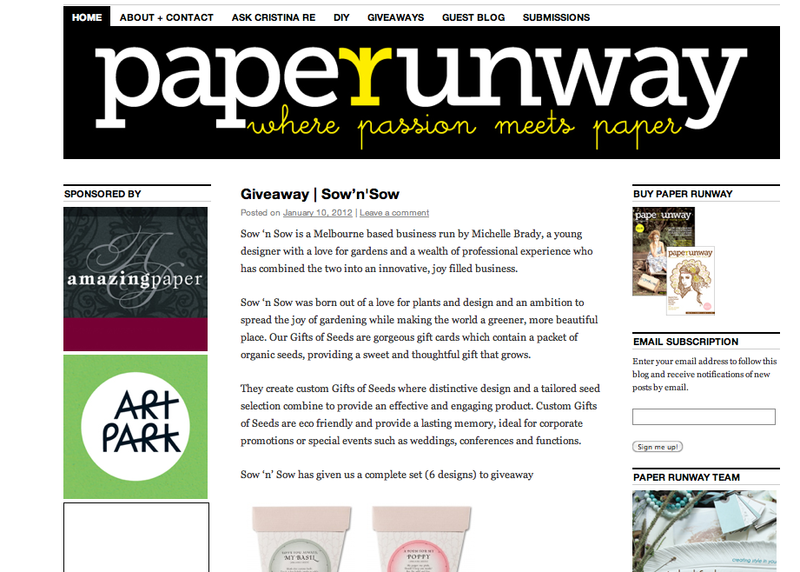 Thanks to Paper Runway for running a Sow ‘n Sow giveaway via their blog! Anyone can enter the giveaway so check it out and leave a comment to be in the draw. 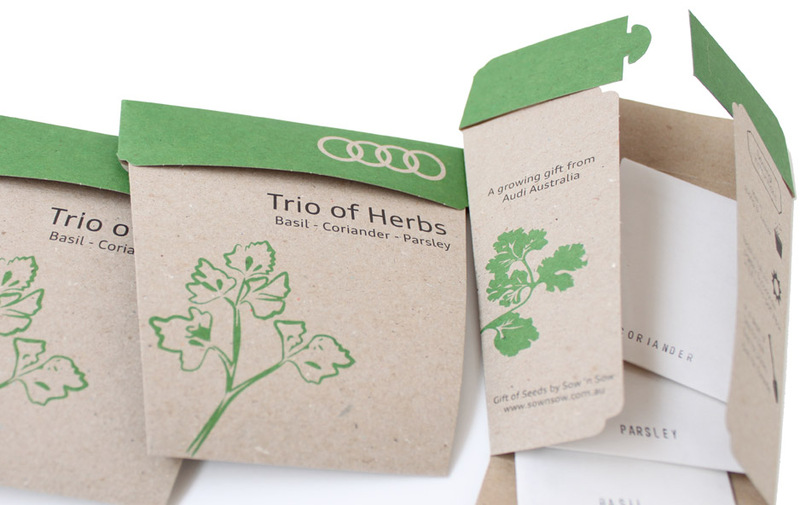 We were also featured in the Home Style File Christmas gift guide and in an organic gardening article on Superethique – a new site run by Ming-Zhu (of Orlando & Ivy and the Public Studio) and writer/ researcher Cassie Harris, all about ethical, eco and sustainable products, services and establishments which is fabulous! And did anyone see our little spot on the Blue Caravan advert in Peppermint Magazine? 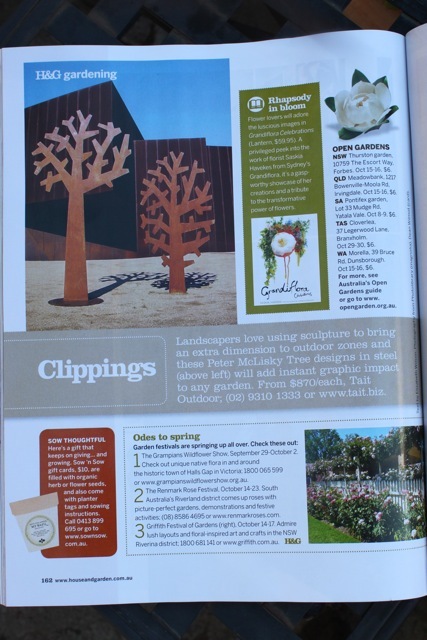 We are in the summer issue on page 6. We thought January would be quiet but that’s certainly not the case so far which is wonderful. 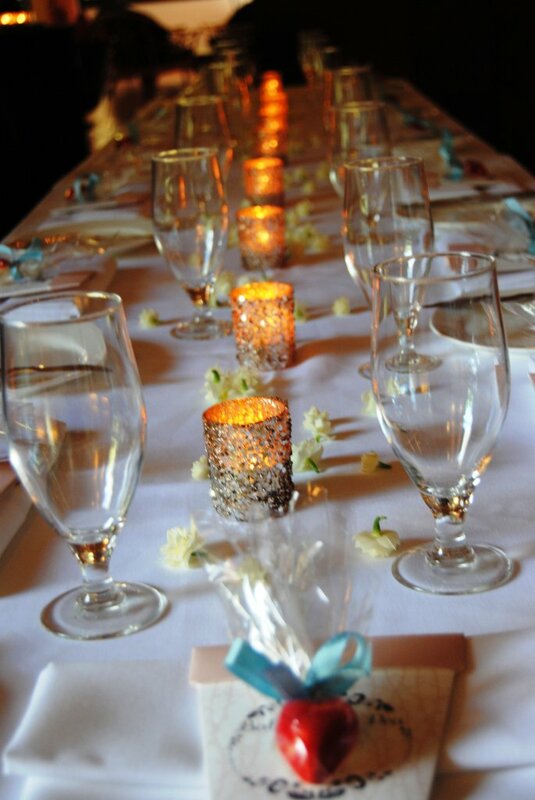 We have an exciting year ahead with some big things in the pipeline starting with Life Instyle in Sydney in February. We love hearing from everyone out there so please email us if you come across any interesting gardening, art or design events/ links etc. 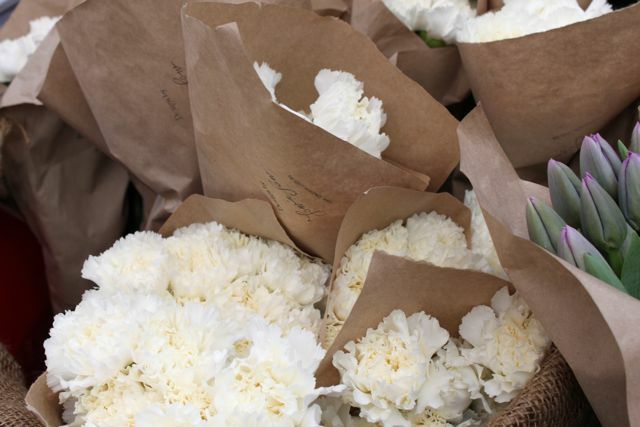 And if you’re a twitterer, instagramer (@sownsow) or facebooker then we’d love to connect with you! It’s always lovely to get a bit of press! 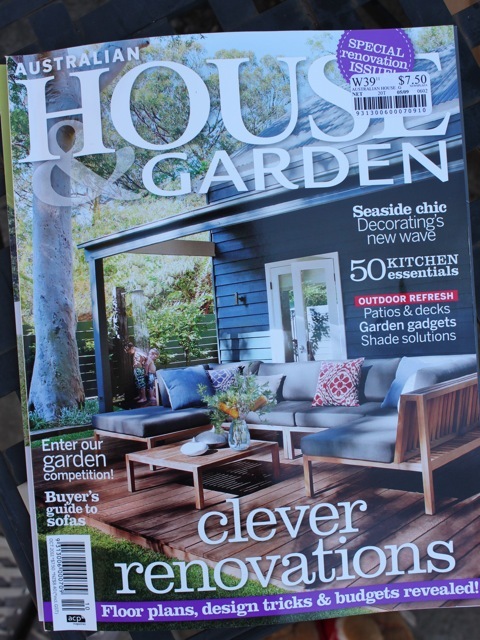 ‘My Basil’ is featured in the October issue of House & Garden magazine. 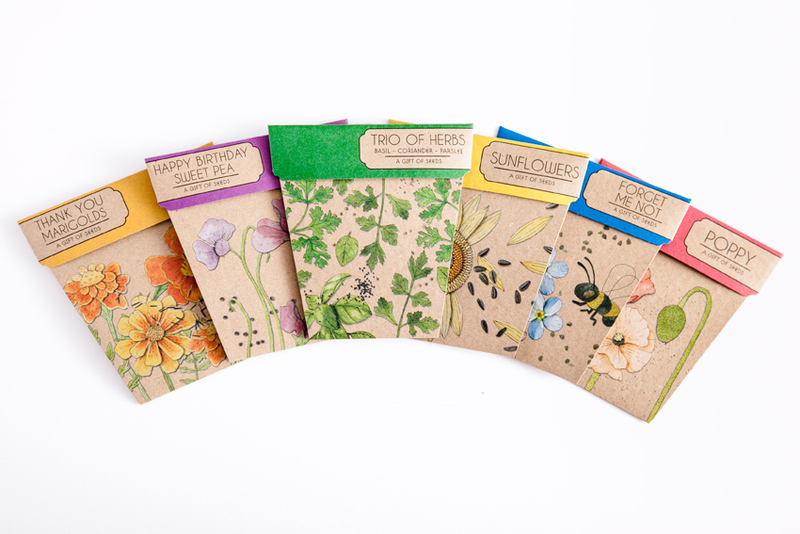 It is with much excitement that I introduce two new Gifts of Seeds to the Sow ‘n Sow range, ‘Baby Sweet Pea’ and ‘Thank-you Marigold’. 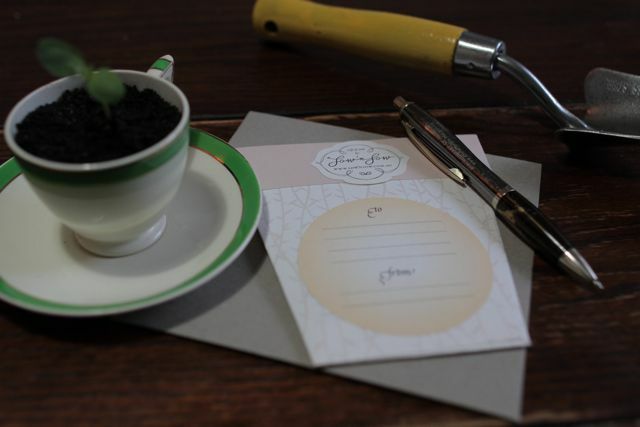 Designed by my very talented sister Madeleine Brady, the Thank-you Gift of Seeds have been kept beautifully simple and elegant to suit any occasion or gift giving opportunity. 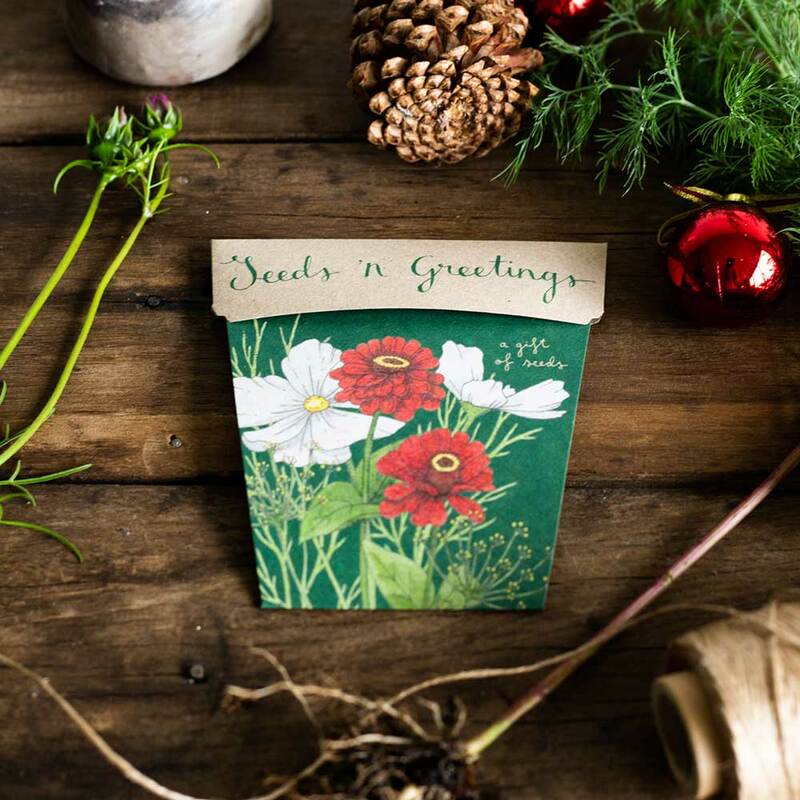 With gorgeous, easy to grow organic marigold seeds and a white planter tag, they are a meaningful, heartfelt way to say thank you, and a gift that keeps on giving too. 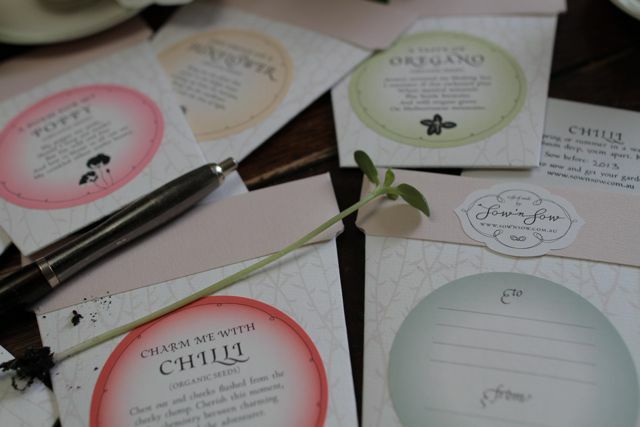 The thank-you seeds are ready to purchase and can be used for wedding bombonniere’s or send them to your valued clients… wherever a heartfelt thank you is called for, may it be a beautiful and environmentally friendly one too! 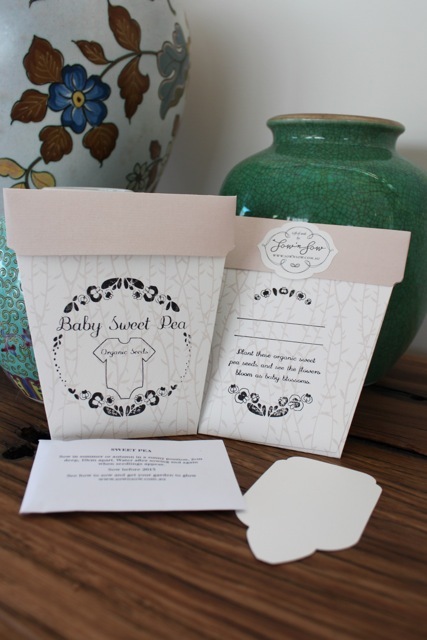 Both ‘Baby Sweet Pea’ and ‘Thank-you Marigold’ are already available at some of our wonderful new stockists Australia wide, and will soon be available for purchase in our webshop. 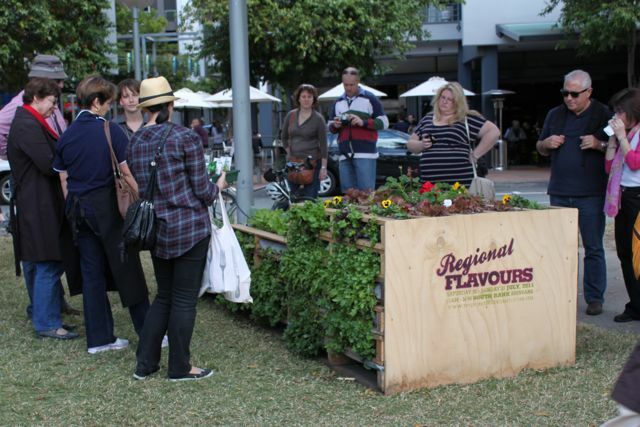 We had a wonderful weekend at Regional Flavours. After months of work designing and installing the pallet gardens and hanging installations, we were able to see and hear the public admiring our creations. The response was incredibly overwhelming… just about everyone who walked past the pallet gardens stopped to have a look and the comments were heard were very gratifying. 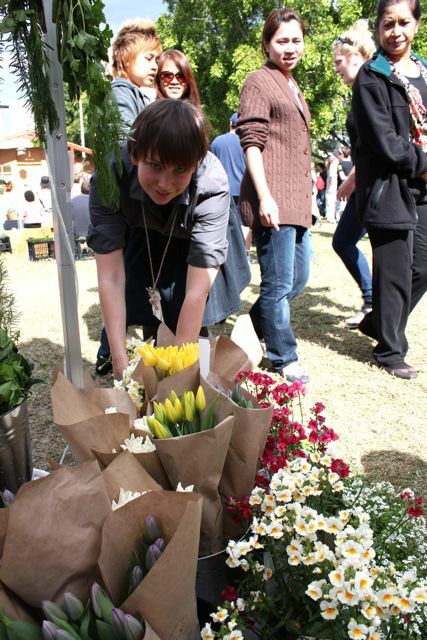 People were theorising how they were made and we were asked many questions which we gladly answered. 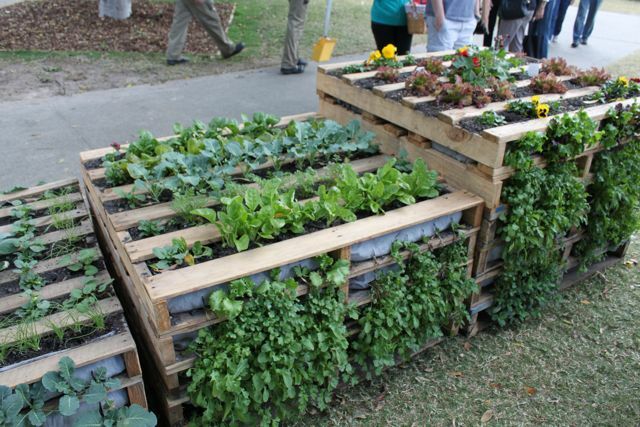 We now have a long list of names from people who were interested in getting their hands on their own pallet gardens! 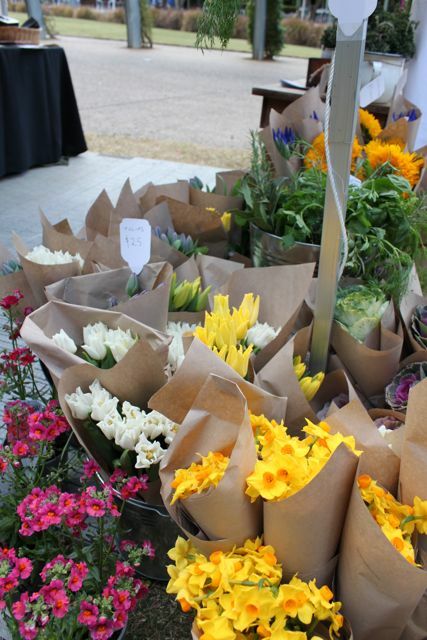 Aside from the great feedback and interest we had in the pallet gardens and hanging installations, we also sold our wares at our market stall. 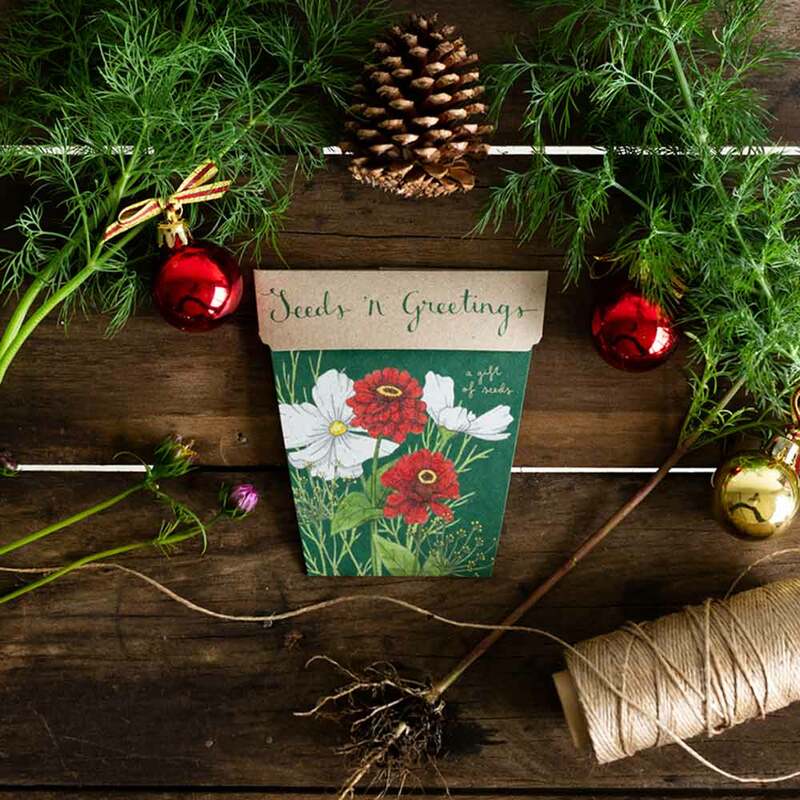 We pulled together a beautiful collection of flowers, fresh herb bouquets and plants to compliment our range of Gifts of Seeds. 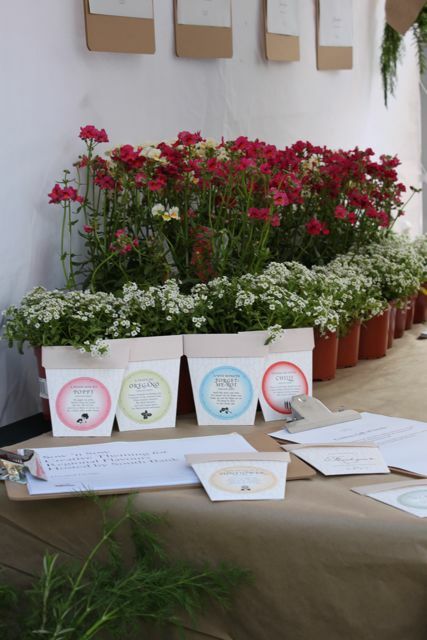 We also had a stand to promote our custom Gifts of Seeds and had lots of interest for many different applications! 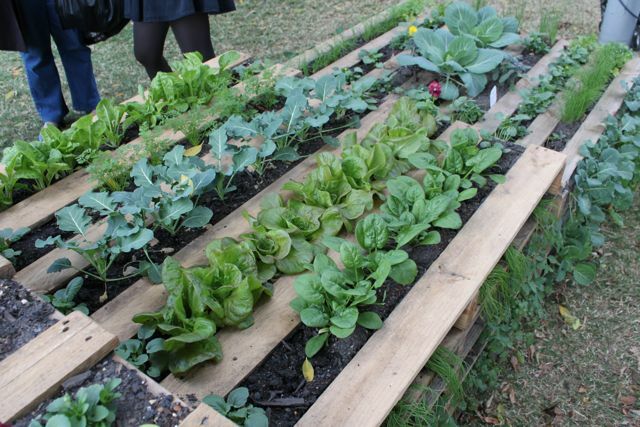 Below are some photos from the weekend including a few of our pallet gardens. 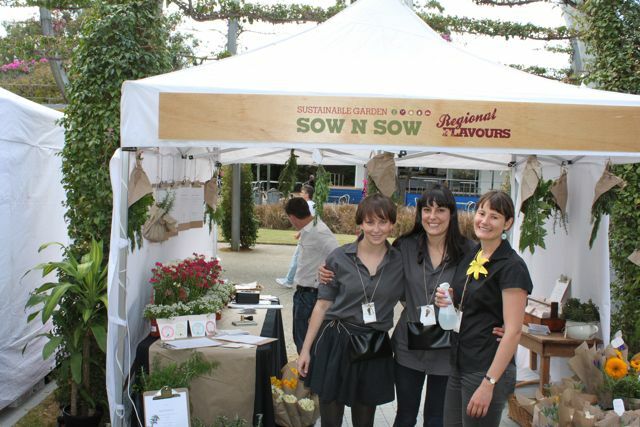 Many thanks to everyone who helped us on the weekend, to South Bank for the wonderful opportunity and to all the lovely people who took an interest in Sow ‘n Sow. I have just had the very difficult task of going through hundreds of beautiful stylised product photos and trying to choose just a few to feature on our website. No easy job! How is one to choose when there are so many stunning images? The wonderful photographer is Emily Jade Barr, a very creative friend of mine who spent probably 10 hours with me setting these pictures up and snapping away. 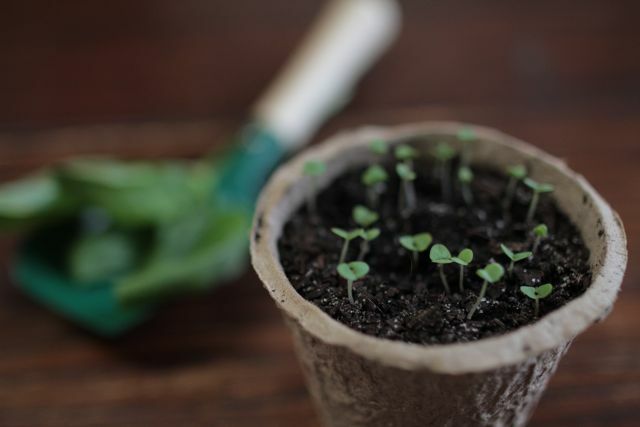 All the seedlings were home-grown with our organic seeds of course and all of the beautiful props come from Emily’s extensive collection of awesome trinkets. 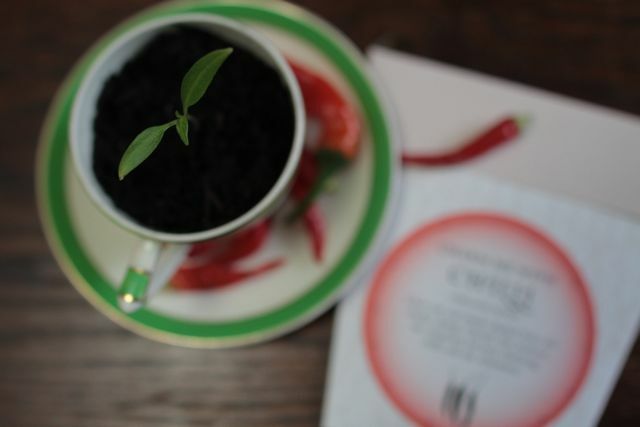 If you check out the rest of the Sow ‘n Sow website you will see more of the beautiful photographs. The ones here are a selection of the un-used photos and they haven’t been edited at all. Thanks so much Emily, you’re amazing!